Who does not want to live where glamour and elegance blend with the excitement of a prestigious world-renowned life? 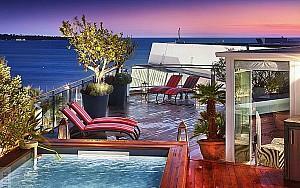 Check out PALM REAL ESTATE’s portfolio and choose from the high-end properties in Cannes Croisette, on the French Riviera. Best known for its International Film Festival, Cannes, and more specifically the Croisette, is the perfect place to invest in luxury real estate if you want to be at the heart of life and take advantage of the restaurants and boutiques, the 'magnificent architecture of the renowned hotels such as the Carlton or the Majestic, the famous Palais des Festivals and Congresses. The luxury properties featured on our website offer terraces with stunning sea views, large living spaces, and generally all the comfort our discerning clientele wants to experience. Whether you are more interested in beachfront apartments or penthouses, our offer consists of a wide range of properties so that you can find the one that fits your needs, your desires and your budget. 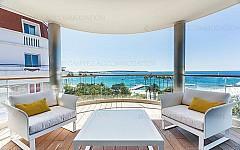 If you want to invest in luxury real estate in Cannes Croisette, contact us and we will assist you in your project, making good use of our expertise in high-end real estate on the French Riviera and around the south of France.